Is your home or business a disaster area? Sante Disaster Reconstruction can help now. Our skilled property damage reconstruction services offer quick and quality service. Much more than a temporary solution, we provide complete disaster reconstruction. Our expert customer service delivers emergency reconstruction now. We are just a phone call away from assisting you with any disaster or damage repair need. Free estimates are available, too! Fully licensed and insured, we have more than three decades of experience in the Coventry community. Our roots run deep. If you are in the middle of a fire disaster, water damage or mold crisis, we can help. Our expert technicians are trained and outfitted with the latest equipment. This saves Sante’s clients time, money, and stress. We even work with your homeowner’s insurance. Let us keep costs low and quality high with our expert disaster reconstruction. Water and fire damage can happen to anyone. Water damage is usually the result of natural or plumbing flooding. Natural water flooding in homes or businesses can lead to dangerous bacteria levels. Plumbing water damage has its own unique issues. Have you faced fire damage to your home or business? We can help. Water damage often goes hand in hand with fires. Emergency water sadly damages the home or commercial property while saving it. We can resolve water damage while repairing fire damage. Sante Property Reconstruction will find smart solutions that prevent future problems like mold growth. Get ahead of your disaster project with our skilled and professional damage repairs. At Sante, we don’t play with fire disaster reconstruction. Our top rated fire damage repairs are comprehensive solutions. From start to finish, we fully manage the property damage. Our fire reconstruction results in a complete overhaul that eliminates damage. Our trained technicians have the latest tools to best serve our clients. We have the sensitivity to salvage heirlooms, business equipment, and much more. Our 30 years of fire disaster reconstruction allow us to tailor projects to your needs. Give us a call today to find out how we can contain, secure, and achieve complete fire damage repair. Water damage can come at any time. Plumbing fails and natural flooding occurs. Even if you have safety measures in place, it can happen. Sante Property Reconstruction has decades of experience working with water damage repairs. We know how different sources of flooding impact properties. Familiar with the Coventry area, we understand our client’s communities and risks. Let us fully reconstruct water damage to create a lasting solution. Our water damage technicians can be to you fast for quick and quality service. Call our emergency customer service line 24/7. You can put your trust in our licensed, insured, and professional water damage service. Do you have concerns about air quality and mold growth? Contact Sante Property Reconstruction now. We can identify the type of mold you are dealing with and fully resolve mold damage. Our expert mold technicians eliminate the source of moisture and odors. We sanitize mold growth with professional equipment and staff. While working, we will secure the mold damaged area to prevent the spread of spores and growth. Don’t leave this job to a handyman. We are experts at eliminating mold damage from homes and commercial properties. In our 30 years of service to Coventry, we have weathered many storms. 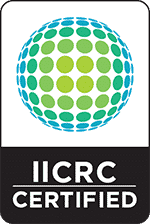 We know the topography of communities, business districts and their risks. Let us help you through storm damage disasters. Our storm reconstruction offers sophisticated solutions to winter weather, high winds, flooding, and more. We will secure the property and repair storm damage fast. Whether you have a home or a commercial property, we can help. Our expert teams are available for emergency storm damage reconstruction. Services include professional board ups, storm damage repairs, and comprehensive disaster reconstruction. Call our customer service for 24/7 service now. Keep the nonprofessionals out of your business! Sante Property Reconstruction specializes in commercial property repair services. Large or small, we can handle the needs of any space. Our business is completely equipped with the tools, insurance, and trainings you need. Our smart reconstruction solutions can be personalized to your situation. Much more than a one size fits all service, we tailor our commercial property repair services to you. Are you in an emergency? Sante offers seven day a week service, 24 hours a day with free estimates. Our general contracting in Coventry covers a range of property repair needs. We handle the labor, materials, equipment, and more. Whether your general contracting project is industrial scale or home reconstruction, we will make it our priority. Why choose us? Sante Property Reconstruction offers 24/7 service to the community with free estimates. Our clients return to us again and again for their general contracting needs. Give us a call today to find our why our services are simply the best in the area. 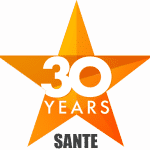 Whether you are facing fire damage, water damage or mold growth, Sante Property Damage Reconstruction can help now. Our more than three decades of experience safeguard your damage repairs. We know and care about Coventry and its homes and commercial properties. Available with 24/7 service, our clients receive free estimates and friendly customer service. Count on our sophisticated property damage reconstruction solutions for the best results. Does your Coventry Home or Business have Damage?